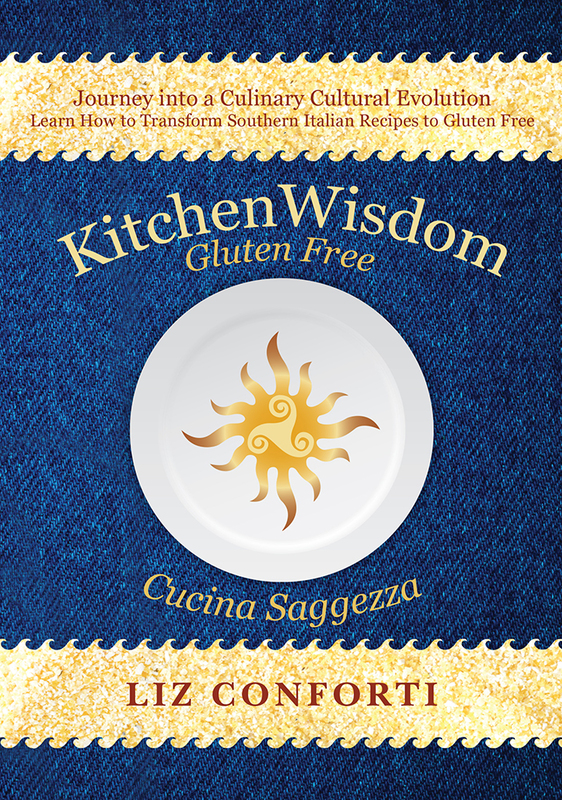 I dedicated my food and culture cookbook, Kitchen Wisdom Gluten Free, to those who came before me. 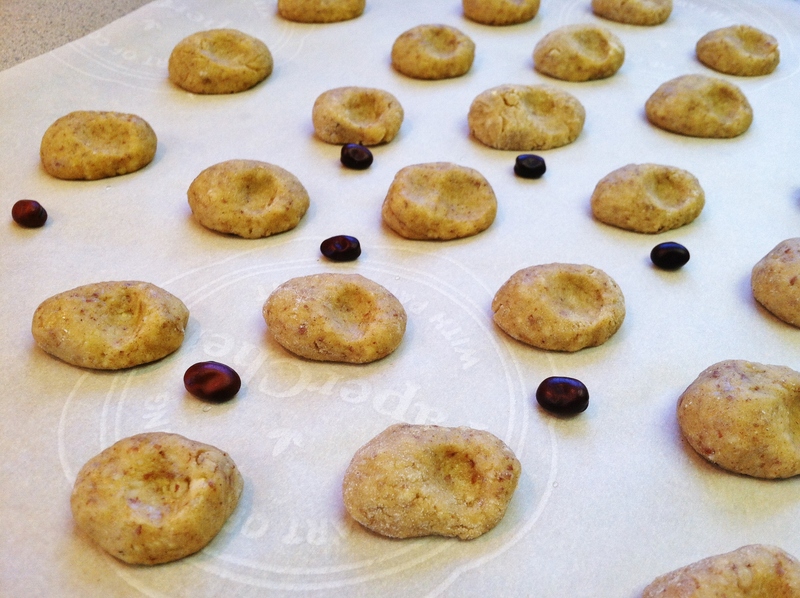 This Kitchen Wisdom Gluten Free cookie recipe for Fave dei Morte (Fava of the Dead) is part of my path honoring my ancestors. I am grateful to have known, loved and learned from so many of my incredible elders, but now they are my ancestors. In chapter one, I discuss my dedication to preserving culturally authentic Southern Italian recipes from my family and the families belonging to friends. Communing with my ancestors is what I call my time in the kitchen experiencing and learning Kitchen Wisdom while I transform those recipes into their delicious gluten free counterparts. The single black mark on the Fava bean has been associated with the cycle of life and death since the Roman Empire. Fava bean, as soup or in food shaped like the bean, is set out on October 31 as a symbol in observance of welcoming our ancestors in our homes and at our tables. For me, autumn always ushers in a representation of a cycle in the Wheel of life (birth, life, decay, death, and rebirth in the spring). Remembering the dead is a tradition in the Wheel of Life (the cycle of growth, decline and renewal). This was observed in ancient pre-Christian, Italian and other European religious traditions. Many of the Old European Religions celebrate Samhain, asserting that the dead return to the human world beginning October 31 and remain for three nights; during which time the living honor those who came before them. In the 15th Century, the Roman Catholic Church officially claimed the day at the end of the cycle, calling it Ognissanti (All Soul’s Day). I enjoy welcoming the spirit of my ancestors for three days, keeping them in my mind and heart each day respectfully honoring the blood of my blood. Halloween (All Saints Eve) marks the start, followed by All Saints Day, ending with All Soul’s Day on November 2nd. 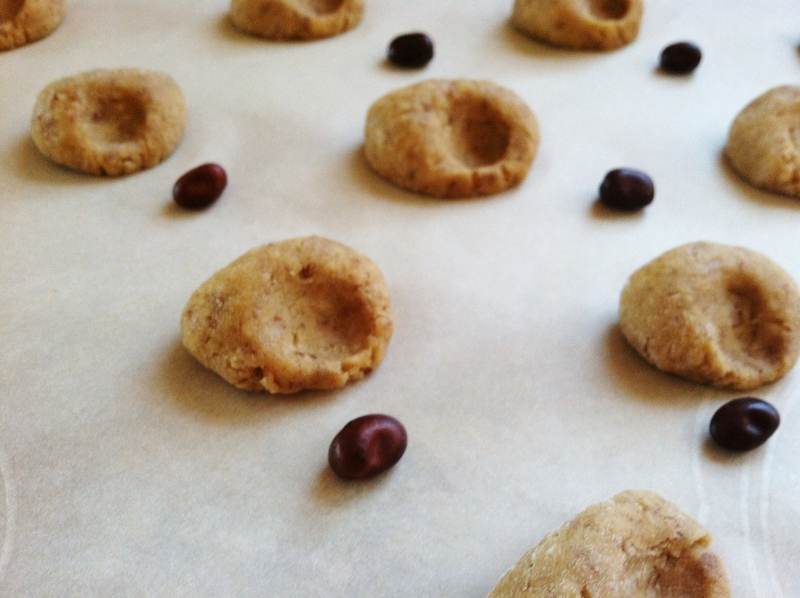 This Kitchen Wisdom Gluten Free Fave dei Morte (Fava of the Dead) cookie recipe is deliciously tantalizing, light and flavorful. The combination of almond and a touch of cinnamon beckon the senses. At this time of year, Fave dei Morte can be found as an Ognissanti Festival treat in Italian and Italian American bakeries; often in a collection of white, pink and chocolate colored cookies. Pre-heat the oven at 350 degrees. Line 2 cookie sheets with parchment paper. Using a food processor, pulse-process the almonds for 12 seconds, add the pignoli and pulse-process again for an additional 10 seconds. The goal is to create ground nut meal, if you over process the nuts the oil separates and the result will be nut butter. 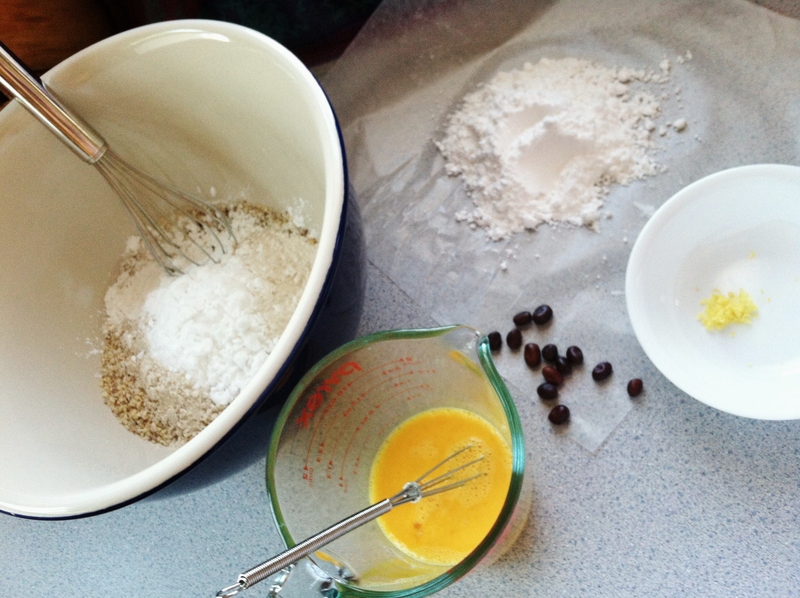 In a small bowl, whisk together the egg, yolks and distilled spirit, and set it aside. Grate the lemon zest over a small plate and set it aside. 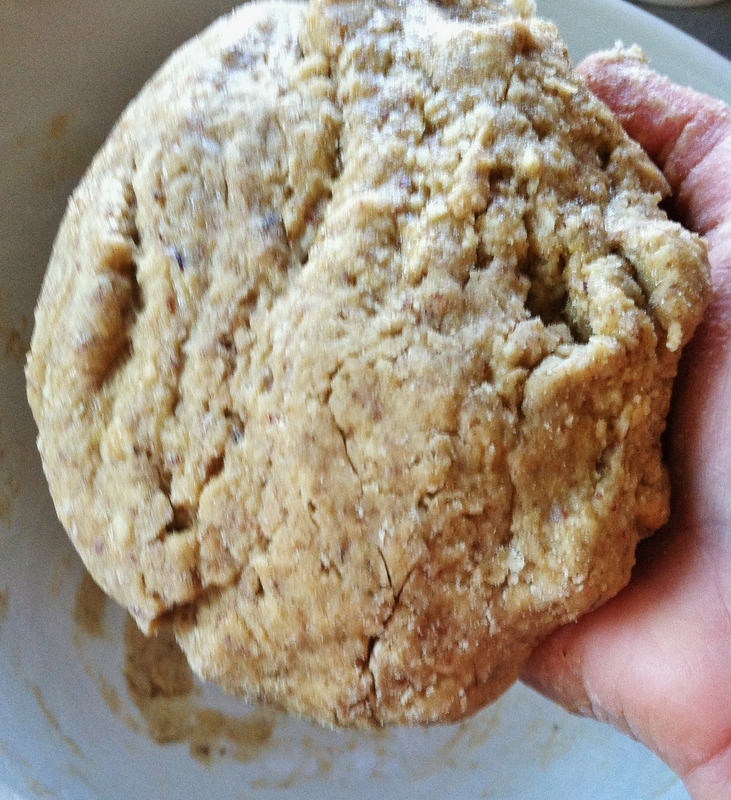 Make the Dough: In a large bowl, whisk together the brown rice flour, sorghum flour, potato starch, tapioca starch, guar gum, baking powder, lemon zest, cinnamon and nut meal. 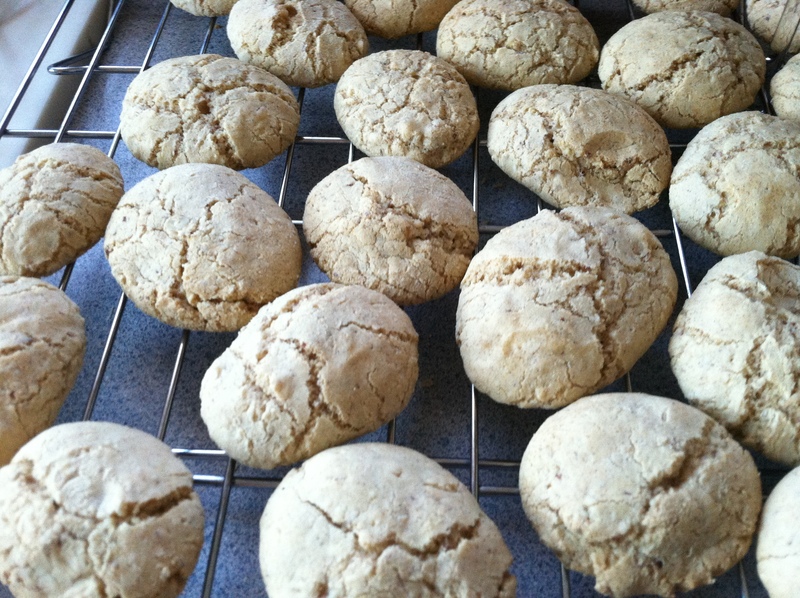 Sift the powdered sugar onto a piece of wax paper and then gently whisk it into the flour mixture. 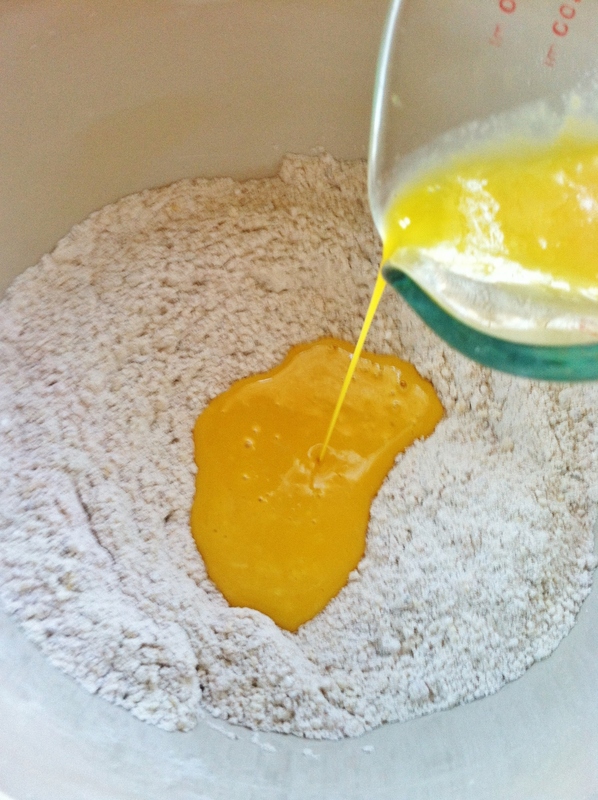 Now create a well (depression in the flour) in the center and gently pour the egg mixture into the well. Use your hands to gently scoop flour from the circumference of the bowl and fold it into the moisture of the egg in the center. Gently knead in this way for a minute or so, creating soft dough. Add a little brown rice flour if the dough is tacky moist. Cover the dough with wax paper. Prep a work surface: Lightly dust a rolling surface with brown rice flour, leave a tablespoon or more aside for additional rolling. 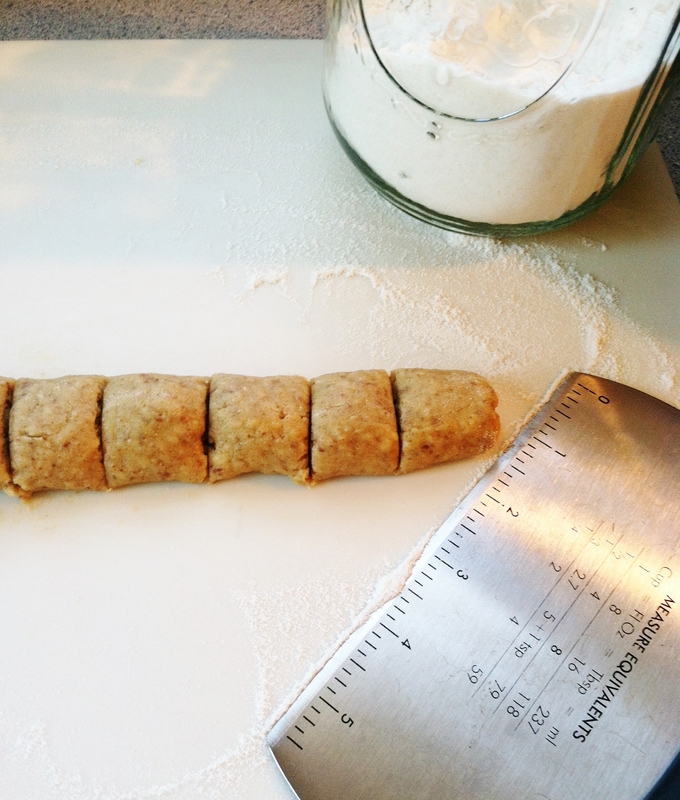 Remove a 2-3” clump of dough, roll it between your palms, dust with surface with flour and use your fingers to roll the dough clump into a rope (approximately 6 inches in length and ½ inch in diameter). Then cut 1” pieces off the rope. Place the piece between your palms and gently roll it into a ball then place it on a parchment lined cookie sheet and form into oval. Use your index finger to push a depression into the cookie at one side to mimic a fava bean. Bake for 11-12 minutes, until the cookies just begin to turn a hint of a tan tone, keep them as light in color as possible. Remove the cookies from the oven and leave them to rest for 1 minute. Then transfer the cookies to wire cooling racks. 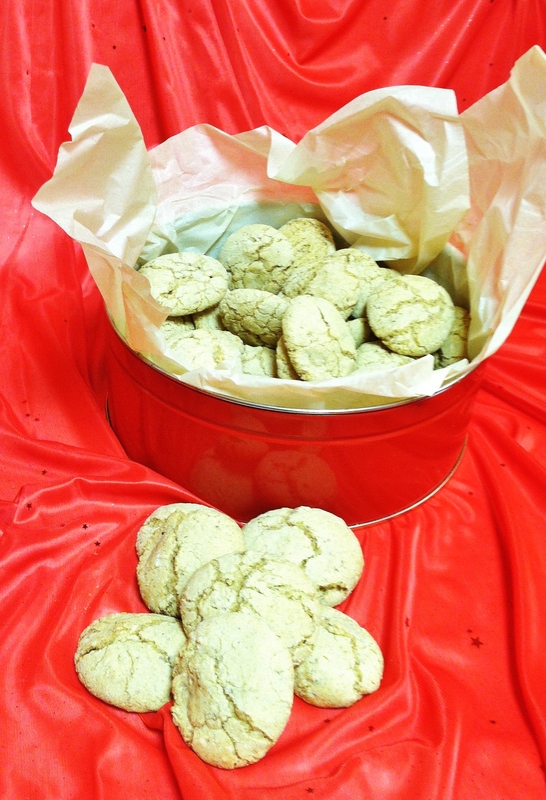 Store them in a wax paper lined cookie tin or bakery box. This entry was posted on October 31, 2017 by kitchenwisdom2013 in all saints day cookie recipe, all soul's day cookie recipe, celiac disease recipe, fava of the dead cookie recipe, fave dei morte recipe, forget what you know about wheat, gf baking, GF Ingredient, gluten free italian recipe, halloween cookie recipe, italian gluten free biscotti cookie recipe, kitchen wisdom gluten free, ognissanti, samhain recipe and tagged all souls day, almond, biscotti, brown rice flour, cookies, desserts, eggs, fava, fava of the dead cookie recipe, fave dei morte, Guar Gum, halloween, meal, pignoli, pine, potato starch, sorghum flour, tapioca starch.